We Should Not Be Punishing Drug Dealers in Schools - Activate! 2017-10-31 /0 Comments/in Uncategorised /by Activate! I went to a rather standard high school in Johannesburg – but also a school with a reputation for its drug usage amongst the pupils. I remember one afternoon after “break time” the principal instructed me to ‘watch the criminals’ – the pupils caught selling dagga, until the police arrived – and arrive they did! Fully-fitted for a drug ring raid, they carried several magazines of live ammunition and full tactical gear – they were prepared for the war on drugs. Although this was a scare tactic, it hardly worked. The boys in their tippexed Karrimor bags were neither remorseful nor intended to stop their little drug empire. The show of brute force and punitive disciplinary measures along with name-calling had no effect on them. They were the dirty mark on the school’s name. The criminals, the drug dealers and all sorts of other negative names. The system “worked” as it always does. Expelling the pupils, the system did what it knew best – to treat the symptom and not the cause. I however believe in finding an unseen benefit. I believe in harnessing the obvious entrepreneurial skills of drug dealing pupils. However, I need to state categorically that I am not advocating for pupils to sell dagga – let us not forget that dagga is still illegal and drug dealing is not something we ought to be praising. Instead, what we need to be praising is the obvious skills sets that that drug dealers have. My argument is not concerned with the moral and legal arguments around dagga and drugs. I could not care less if you are a liberal or conservative on the topic – that is a lengthy topic for another day. What I want you to think about and realise is that drug dealing pupils are brilliant entrepreneurs. They see a need and satisfy it. So, are we praising drug-dealing pupils? If you sold dagga at my high school, you were either expelled or suspended. This seems to be the norm in South African high schools. Of course, each case has its merits, but it would be foolish to apply a one-size fits all model when there are alternatives. Again, looking at the potential a drug-dealing pupil possesses, I do not think that expulsion should be an option (perhaps for repeat offenders.) Punishment that is not vengeful and punitive in nature is the best way forward – especially when dealing with children. Remember, we are working with young minds – minds that we can expose to new possibilities. In essence, we can quickly rectify and rehabilitate problematic behaviour in children. Even though rehabilitation is a strong word, remember that the key principle the South African justice system is based on, is restorative justice. Expulsion is not restorative! Now imagine the restorative justice is harnessing the entrepreneurial skills of drug dealers for a greater good. I propose suspension/hard labour AS WELL AS a mandatory entrepreneurial skills sets “detention” that runs for a month or more. By making mentors available, to teach youngsters business skills (which they probably already have) – pupils can channel this entrepreneurial energy to a sustainable, legal business. In fact, let me be bold in saying that the most probable reason for drug dealing amongst pupils, is a lack of role models – That and the need to sustain oneself. Both these reasons are not criminal in nature, but a symptom of a greater society – but, again, story for another day. However, this idea is not without fault. First off, we need real people– real role models that pupils strive to emulate. It is pointless putting a pupil through this program without a role model because there will be little to no incentive to stick to the principles of the program. Then we have the issue of equal access to programs. One has to wonder about pupils who want to participate in this program. Do they have to sell drugs to qualify? We are in desperate need of youth economic development in South Africa and the solution lies right in front of us! 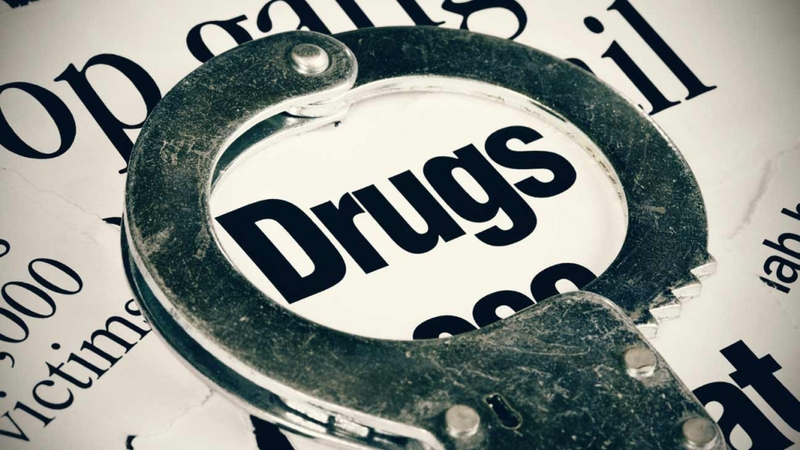 We should not be punishing drug dealing pupils – instead, we should be channeling that entrepreneurial energy into businesses that have the potential to change South Africa. We cannot fight youth unemployment and to a large degree, most social ills, if we continue systematically suppressing entrepreneurship. Let us stop following a system that does not work and start thinking out of the box – let us stop punishing drug-dealing pupils. Leander Julius is an Activator! who is passionate about micro-economic development and challenging the system.